Employees State Insurance Corporation has Published Job Notification for Social Security Officer/ Manager Gr-II/ Superintendent Post. 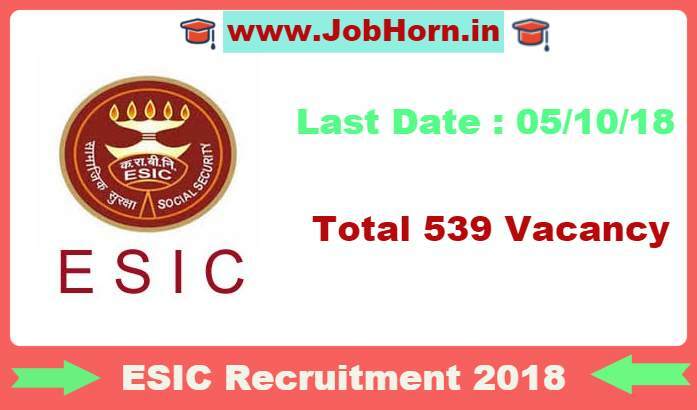 The Application is Online and Total 539 Vacancies So, all the Interested and Eligible candidate apply for the post before the 05/10/2018.All the General details is we have posted in this article Kindly Check all the Details and Official notification for More Details. Candidate Must have Degree from the recognized university/Institute. After go on the Site Click on the Correct Notification for this Post. Read all the Mandatory Details carefully and after that Apply. Pay Examination Fee via Online Mode.